So- what’s the deal with G.I. Joe Retaliation Duke’s orange gun? If you’ve already purchased and opened your G.I. Joe Retaliation Duke action figure, you’ve probably found that his accessory compliment is “less than stellar”. 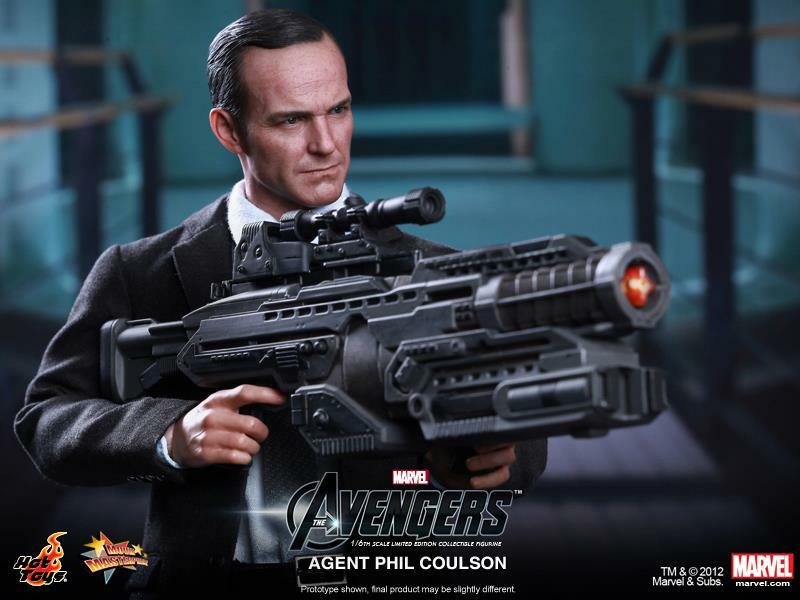 The figure is equipped with a gun that I can only call the “Blast-o-Matic 6000” as well as an orange rifle that resembles Agent Coulson’s final weapon in the Marvel movie The Avengers. However, there was something oddly familiar about it. 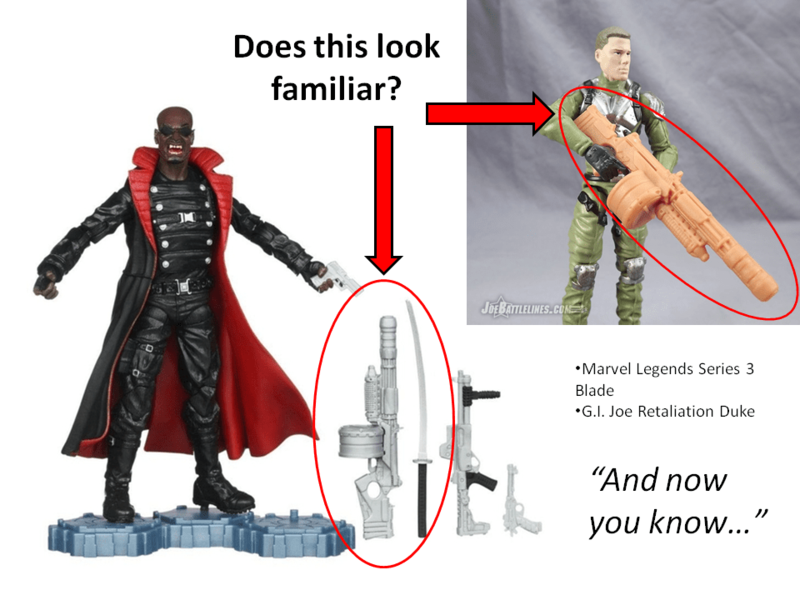 Over at MarvelousNews.com, Jay had posted PR pics of the variants from Hasbro’s Marvel Legends 2013 series 3 figures including the brand-spanking new Blade figure. As I was looking at the image a certain weapon leaped off the screen and caught my attention. Once you see it, you can’t “unsee” it. It looks like Hasbro continues the tradition of sharing tooling and molds across brand lines. After all, the G.I. Joe Renegades Storm Shadow mold is getting a reuse in a forthcoming Wolverine line. Plus, it makes poor Retaliation Duke just a bit cooler by association.